I get a little selfish when it comes to mushrooms. I love them and so does my husband. We try to be civil and only take a fair portion, but if there is any left after we've passed it around we both try to secure the extras right next to our own plates. 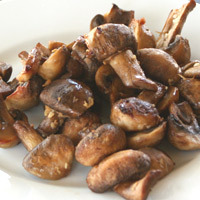 Follow the roasting instructions for perfectly prepared mushrooms! 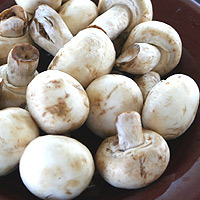 Selecting- choose mushrooms that are firm and evenly colored, avoid those that are wrinkled, discolored, slimy, dry (not dried), or have open gills. 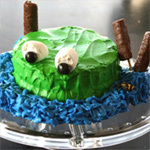 Refrigerate- keep moist but allow some air circulation. An open plastic bag works well. 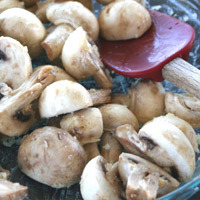 Freeze- mushrooms don't freeze very well, but occasionally I'll slice and freeze them to use in a pasta or similar dish. Heat oven to 450. 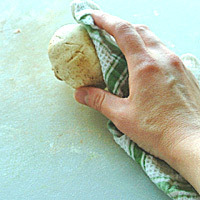 Gently brush each mushroom with a damp cloth to remove any dirt or debris. Cut in half. 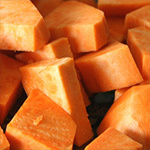 Try to make the pieces the same size so they roast evenly. Place in a medium baking pan. In a small bowl, melt unsalted butter. Crush garlic into the butter. Mix in salt. 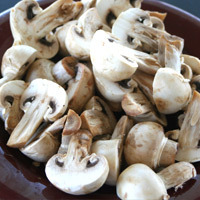 Mushrooms are delicate in both taste and appearance. 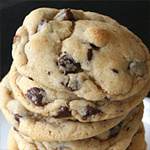 If they are washed or rubbed harshly they will lose some flavor and bruise easily. hey may look done before the liquid is gone, but for best taste, give them a little longer. It's worth the wait! 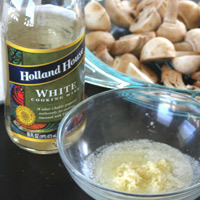 Pour butter mixture onto the mushrooms and toss well. 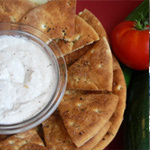 Drizzle with white wine, if using. Roast in the oven for 15 minutes. 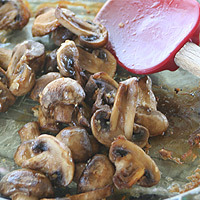 Stir well and roast an additional 5-10 minutes or until all of the liquid has evaporated. Serve hot!